They did it ! 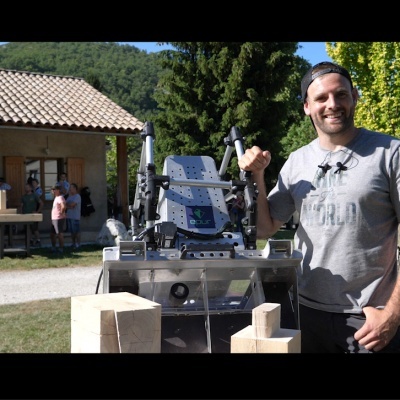 While the French woodworking machine is at its lowest, the young people of EPUR are stepping up the steps of the steep path that leads to the commercialization of a global innovation that can change the face of timber construction and framing. As it has been said for more than ten years, wood construction is only salvaged in prefabrication, with the new buzzword being off-site. Rare are those who take into account the implication of this choice, namely the immobilization of capital and the clampdown on flexibility. We do not cut CLT panels with a Speedcut. 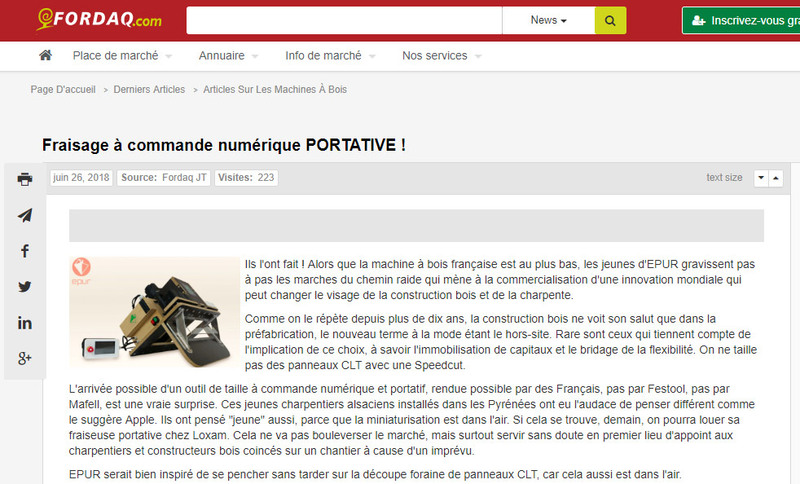 The possible arrival of a digitally controlled and portable size tool, made possible by French people, not by Festool, not by Mafell, is a real surprise. These young Alsatian carpenters settled in the Pyrenees had the audacity to think different as suggested by Apple. They thought "young" too, because miniaturization is in the air. If it is, tomorrow, we can rent his portable milling machine at Loxam. This is not going to upset the market, but above all probably serve first and foremost to carpenters and wood builders stuck on a construction site because of an unexpected. EPUR would be well advised to look into the funnel of CLT panels without delay, because that too is in the air. 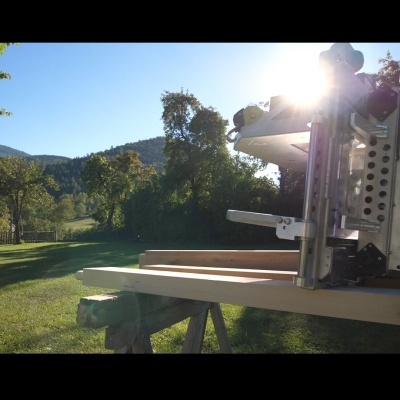 For skeptics, Pierre and Ilias are pleased to invite you to a demonstration of the OAKBOT EX3-110. This will take place in the premises of EPUR: 6 rue de la poste 11340 BELCAIRE, July 4th. Visitors will also watch a new video on the epur.io website, which is also well done and eloquent. 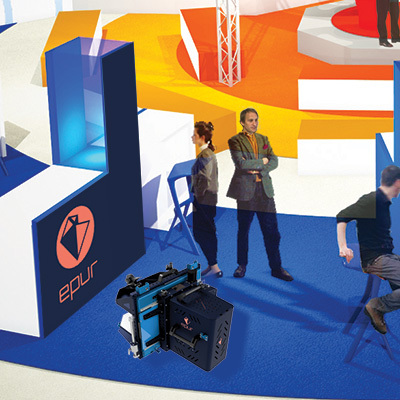 In fact, EPUR was already present on AC2's booth at CIB, but it went unnoticed.